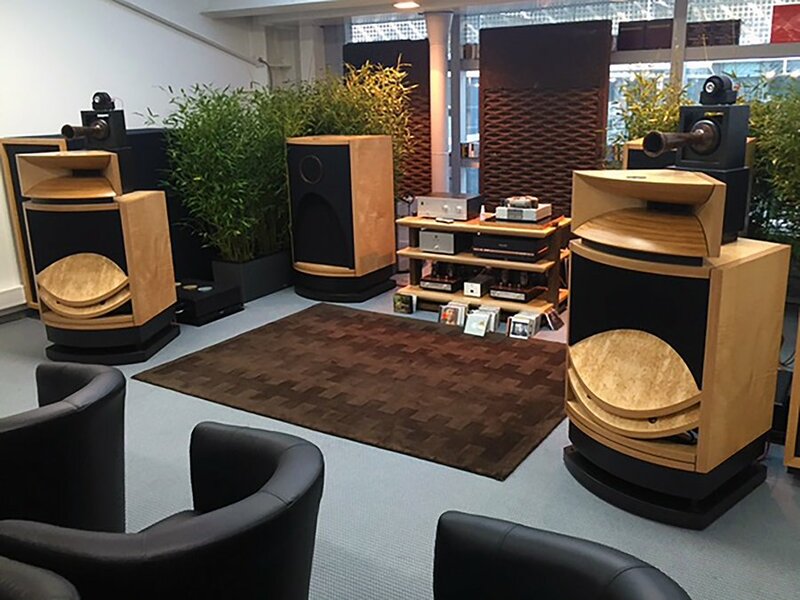 Living Voice is certainly one room we at Hifi Pig always make a bee-line for at Munich High-End and it’s invariably one of he highlights of the show. And that’s no surprise given that their flagship model costs around £435 000 (yes around half a million) plus taxes. However, this year the British company brought along a slightly more affordable model in the shape of the Vox Palladian that costs £252 000. 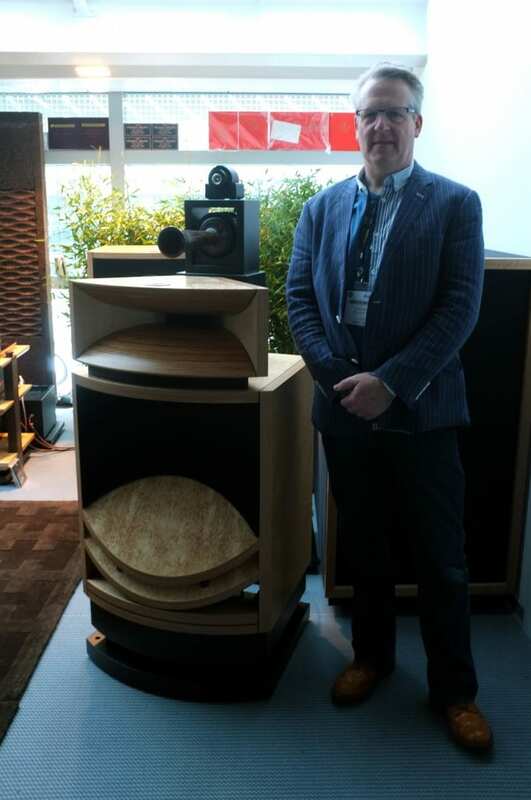 Hifi Pig spoke to Kevin Scott the creator of Vox loudspeakers and owner of Living Voice. 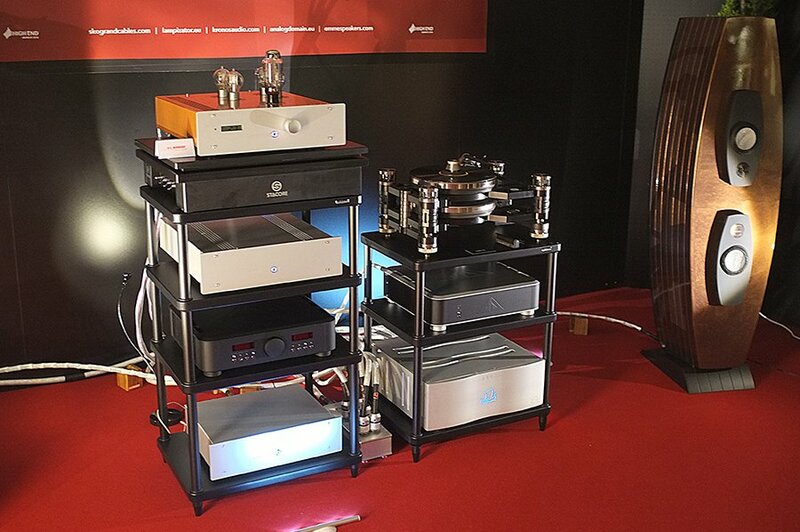 Hifi Pig: The High End Munich show is clearly a mammoth logistical task for Living Voice. What’s involved and what how long are you in planning the show? Kevin Scott: Our preparations for the Munich show take about 2 months, but this year we were bringing a new design so our preparations started in January. Whenever we do a show, it is our window to the world, and so we need to make sure that all bases are covered without exception. Every item in the system is chosen to ensure that it has the perfect balance of performance virtues. We therefore listen to every single item in the context of the whole before we create a packing list. A high performance system is a complex organism, from the plugs in the wall to the room treatments, to the power supply and the equipment table. Everything matters. We take about three metric tonnes of equipment in purpose built flights cases. After arriving in Munich an identical degree of care, patience and diligence is required whilst setting the system up for the show. The higher the performance capabilities of the system, the easier it is to get it wrong. Hifi Pig: You take your own power supplies to the show. Tell Hifi Pig readers about the power system and why you feel the power supply is so important. Kevin Scott: A HiFi system, in essence, is simply a modulated power supply. The power supply is the canvas on which the music is painted, and it needs to be as pure, as quiet and as calm as possible. The better the quality of the a/c feed, the less work the power supplies in the audio system need to do. The a/c power supply from the national grid, despite its attractively low impedance, displays large diurnal variations in both voltage and frequency, plus it has a huge amount of electrical dirt on the earth. At an exhibition this is especially the case, and even more of a problem. We have therefore designed our own regulated a/c supply to run our systems at exhibitions (as well at our showrooms and in customers’ houses). The Living Voice Pure Music power supply is fed from a reservoir of 12 800Ah gel batteries (750 kilos), which allows us to run our exhibition room for a full day off grid. The power supply converts this reservoir of d/c into stable, distortion free, unvarying 50Hz /240v at a very low output impedance. 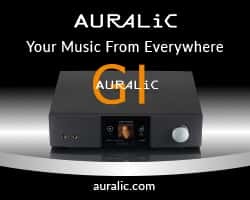 This is a solid foundation on which to build a serious system and a major help in the pursuit of fundamentally important musical objectives; not only does the sound quality benefit across the board, but musical coherence is revealed allowing the listener to forget about the system completely. That’s the goal – the willing suspension of disbelief – and the power supply is the start. Hifi Pig: Every year when we walk into the Living Voice room it’s packed but almost like walking into a place of worship. There’s a hushed reverence. Why do you think your system elicits this response from visitors? Kevin Scott: Possibly because we prefer to play music instead of sound effects. I like to use musical performances of merit and of known musical quality, rather than simply good or ‘impressive’ recordings. I like the music to be at the forefront of the visitors’ experience. We may love the sound of Richard Burton’s voice but we prefer it when he is reading ‘Under Milk Wood’ rather than reciting the telephone directory. One sign of a room working well at a show is the frequency with which visitors ask to photograph the album cover. Another is when the room is crammed to bursting but in complete silence – everyone sharing an otherworldly transcendent experience through music. At a public show this is a wonderful and bonding experience that is both addictive and contagious. People therefore come back to our room regularly for a refill of Zen – they need their fix. Hifi Pig: Your Vox Olympian was introduced in 2010, what was the motivation to produce such a loudspeaker? Kevin Scott: The Vox Olympian was introduced in 2010 for sure, when we first showed it at the Monaco Yacht Show. 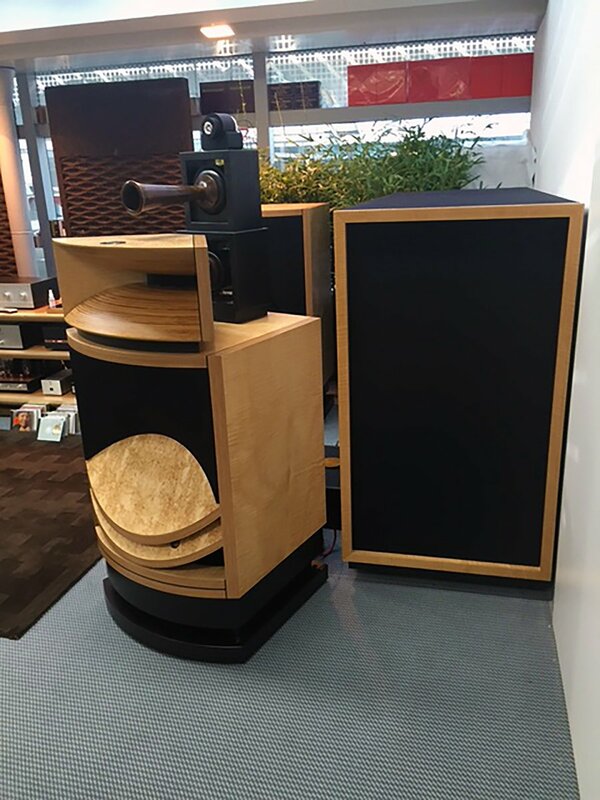 However, it’s worth remembering that it is part of a long evolution dating back to the early 1990’s, when we first started manufacturing horn loaded loudspeakers. The motivation at that time was the same as it is today – I thought there had to be something better than the prevailing loudspeaker technology of the time which did not meet my personal aspirations. 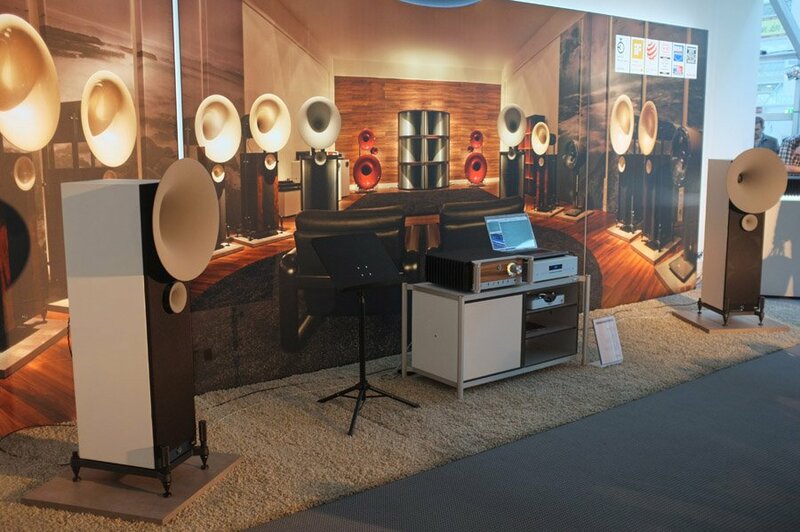 Kevin Scott: Horn loudspeakers offer many significant benefits – but at a price, that price being complexity and size. Horns are by nature limited band-width devices. To cover the same band-width as a 30 litre two way, a horn design will need to be a 4 or 5 way. This brings with it challenges in achieving a seamlessly coherent and unified performance. Complex ensemble playing where time, tone, balance, accenting and proportioned dynamics are key to musical meaning, quickly exposes the shortcomings of most loudspeakers and particularly horn designs. The integration of the 4 or 5 elements needs to be invisible. And this takes a long time to achieve. It can only be achieved by a process of iterative development using such complex programme material to inform your design decisions. 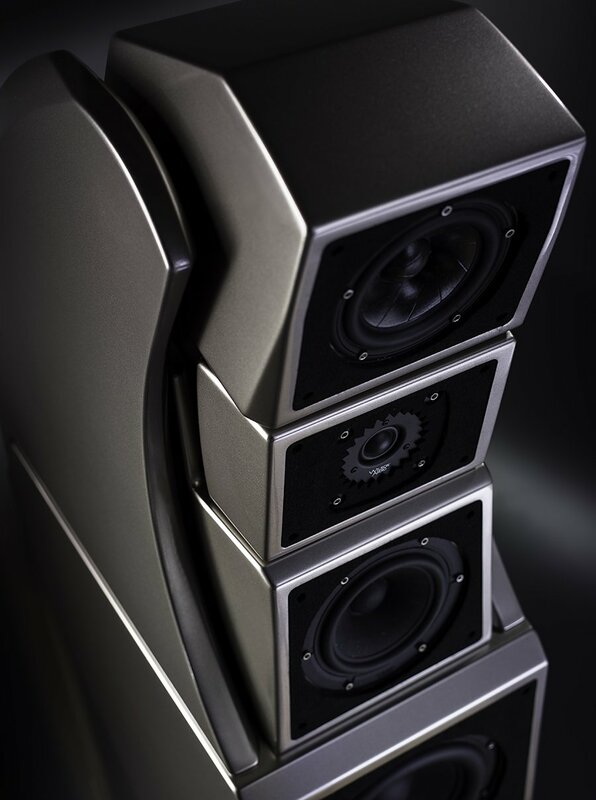 When fully resolved in every respect, a horn will offer scale and dynamic range with a freedom and ease of delivery that makes for a completely immersive, visceral, as well as emotional experience, that conventional speakers simply cannot achieve. It’s physics, but it’s physics married to art. It is worth remembering that the Vox Olympian, Vox Elysian and Vox Palladian are the culmination of 25 years of such development and refinement. They are evolved and completely resolved. Hifi Pig: This year you introduced a new speaker system, The Palladian. Where does the concept come from? How long has it been in development? Kevin Scott: The Vox Palladian has been in gestation for almost 2 years. It shares the Vox Olympians’ DNA of course, but deviates from the Vox Olympian in myriad small ways. Most obviously it uses a ring radiator super tweeter that we commissioned the development of by Vitavox specifically for this project. Again this has been part of an iterative development process and it means that the Vox Palladian has a different crossover for the High Frequency system. Also clear to see is that the cabinet is constructed in a fundamentally different way. We have dispensed with 24 carat gold plating and clear lacquered bronze work, and replaced it with a rustic patinated bronze on the HF horn and other bronze details. The highly elaborate control panel on the back of the Vox Olympian has also been dispensed with and replaced with something far simpler in the lower skirt at the back. Overall, the Vox Palladian has a stripped down aesthetic which makes a virtue of its simplicity. We have had considerable demand, in particular from European customers, for such a stripped down aesthetic, and it is this that fundamentally spurred on the development of the Vox Palladian design. Hifi Pig: What do you think sets Living Voice speakers apart from the competition? Kevin Scott: Well, that’s not for us to say. 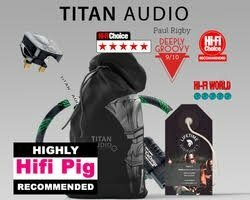 Hifi Pig: What are the plans for the future? Any more Olypmian/Palladian style systems? Kevin Scott: You can never tell whether a new design is going to cooperate and go your way or not. Designing a loudspeaker is like walking an unruly dog, it tends to do what it wants to do. A speaker is ready when it is ready. I have learnt not to make promises about future products until we are ready to call the midwife. Hifi Pig: Your speaker systems are big ticket items, what kind of person typically invests in your speakers? Kevin Scott: All kinds of people from all walks of life. The Ven diagram for our customer base has many circles, and where they intersect – the bit in the middle – is called ‘music lover’. And that’s where we operate.